Dark Tonic Games Studio: Wall Street Titan Kickstarter is live! Wall Street Titan Kickstarter is live! Check it out and please share it! Wall Street Titan is a first person smash 'em up game of destruction and mayhem. 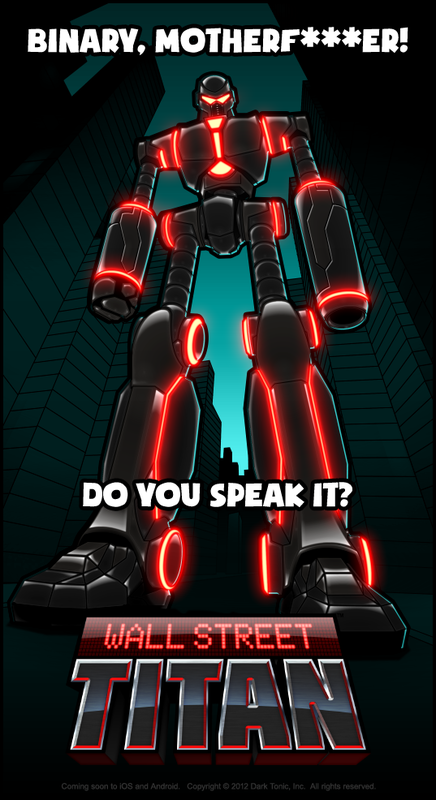 You are a giant robot that's been hacked by those you were programmed to destroy. Robo-stomp the greedy evil suits that built you, squashing them before they escape! Crush cars, collect coins, and cause carnage as judge, jury, and squashecutioner.